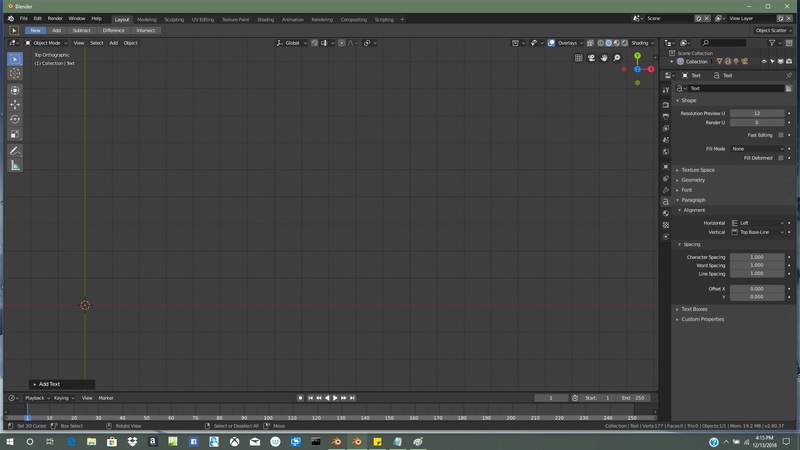 Setting text object Fill Mode to None makes it disappear. In 2.79 it would make a outline of the text when you select that option. 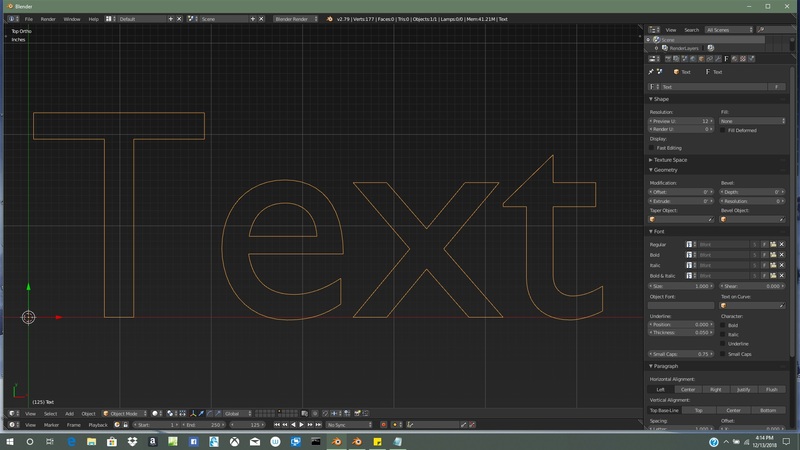 User may want to read/write an extruded text in ortho view or convert such text into mesh edges without face fillling. So, it is better to restore 2.79 behavior. Jacques Lucke (JacquesLucke) added a commit: rBbe98fcc6e27e: Fix T59273: Text object disappears when Fill Mode is set to None.